Welcome to a brand new blog post! 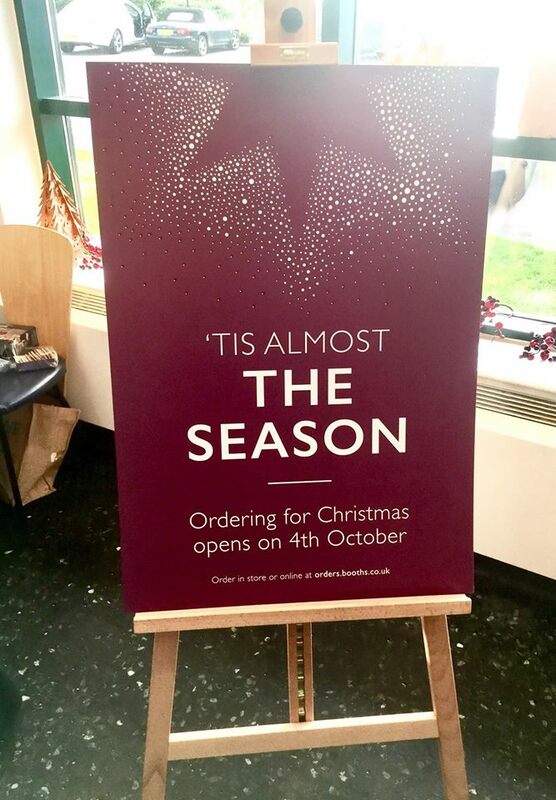 I know that it's far too early to be typing Christmas but Booths invited to their Christmas Preview Event at their Ilkley event a while ago and I thought I would talk to you about what happened at the event. We arrived at Booths and entered the designated area where everything was screaming festive and ready to party. 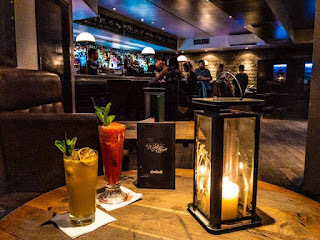 Myself and Luke grabbed a drink and slowly made our way around the room. We stopped off at the Vodka stand. Of course, I would instantly go to the Vodka stand. Honestly, I'm bad with remembering names and brands unless it's completely drilled into me but this Vodka tasted of sweet Caramel with a slight salty kick and I loved it! I think that this would be great to have alongside dessert at any Christmas event or on Christmas Day itself. We then wandered onto the Pie stand and I absolutely loved these. From my recollection, you can order the big Pies within in store for you to collect for big parties or or the big day. You can also pick up some of the smaller pies instantly in your local store including a wonderful Game one which I had a slice of and it was delicious. I also had a taste of the Ham and Apple Pie and oh my gopd I could eat both all day everyday! Myself and Luke then walked on to the Sweet Treats section. I could live in this section forever. If you don't see me for the festive season then its probably because I'm hibernating here! The first sweet treat that myself and Luke tried were the Chocolate Stollen Bites. 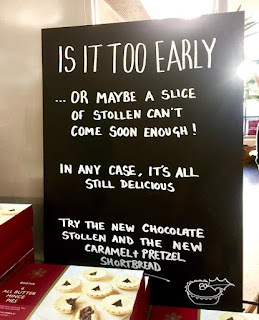 I know that Stollen and Chocolate sounds like a weird mixture but I loved it. 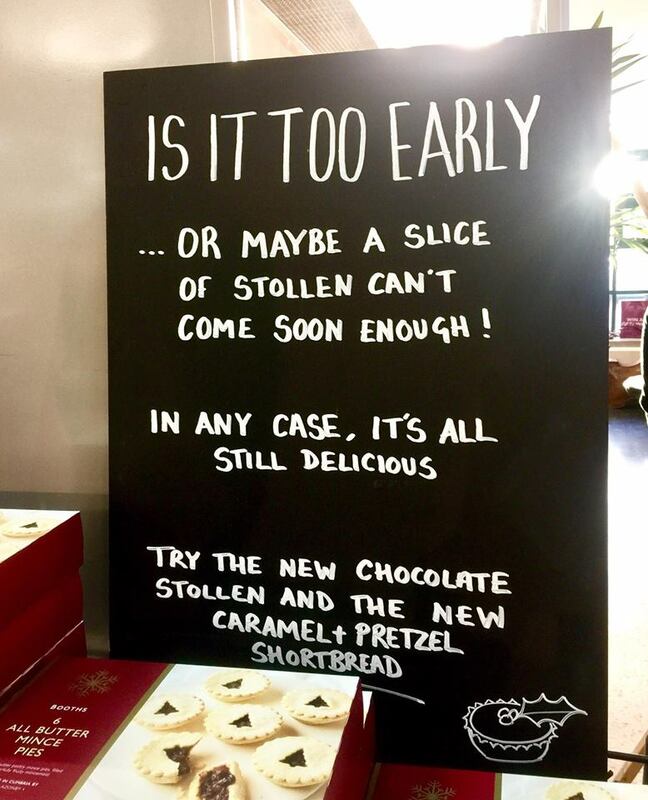 If you're a bit confused at what Stollen actually is then let me tell you. Stollen is known as a rich German fruit and nut loaf which sometimes has Marzipan and other things in. These little bites had little dark chocolate chips embedded into them and were dusted in sugar. We then had a taste of some Amaretto Brownies and I think that these are my new favourite thing in the world. These are described as a Dark Chocolate Brownie bites with Amaretti Biscuits,topped with a light Sugar dusting. I love a good Brownie but these were amazing as the Dark Chocolate mixed with the sweet but slightly nutty Amaretti Biscuits is amazing. If you can get your hands on these then I'd definite;y tell you to try them. Next on the sweet treat list were Caramel and Pretzel Shortbread Bites. These are described as s crumbly all Butter Shortbread base with a generous layer of smooth Caramel, topped with salted Pretzels and finished with a drizzle of Belgian Milk Chocolate. I loved these due to the sweetness of the Caramel and Chocolate against the salty pretzels but I think personally a tiny sprinkle of salt on top would make it perfect for myself but I love anything that has a sweet/salty relationshio going on. Last stop on the sweet treats train is, Iced Christmas Cake Bars. These are described on the website as, Fruit Cake with Apple soaked Vine Fruit, Cherries and Dates, topped with a layer of Marzipan. I'm not the biggest fan of Fruit Cake or Marzipan but the Cake wasn't as dense as it normally is and the marzipan was weirdly not as full on as it has been in other products in the past so I quite liked it. I think that it would go very well with a cup of Chai maybe. All of the above Sweet Treats are 2 for £6. Thank you to Booths and their PR for inviting myself and Luke to this event. Thank you to the staff at Booths Ilkley for putting on an amazing event and being amazing when chatting to them. 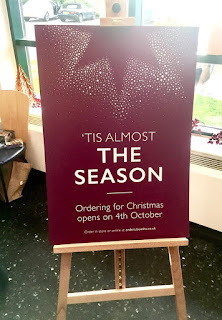 I hope that you've enjoyed reading this slightly early festive food blog post and I hope that you come back next time for another blog post!